We are delighted with a great response to ‪Love Not Hate‬ campaign endorsement call to date. 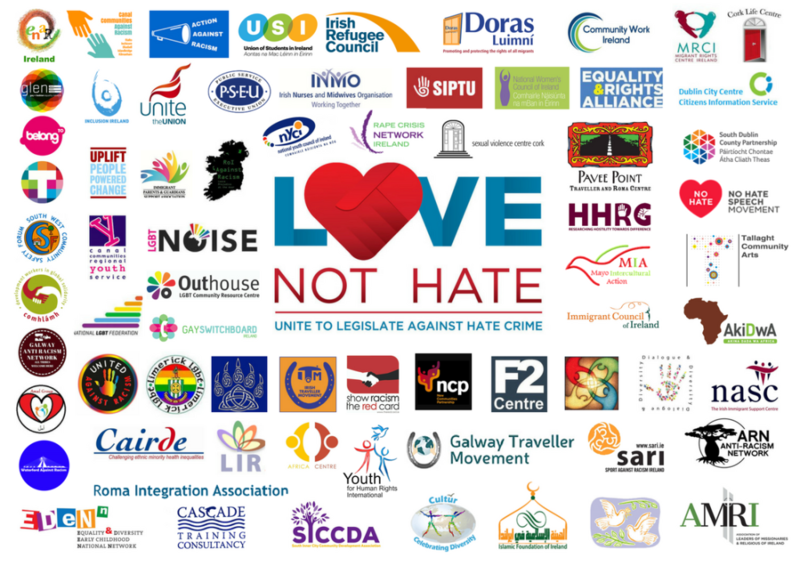 So far, nearly 70 organisations, both local and national, have officially expressed their support for the call to introduce hate crime legislation. We want to show the government that better protection for those targeted by hate-motivated attacks is an important issue to many people and organisations nationwide. 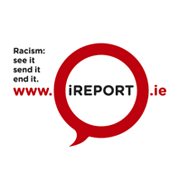 We must unite across sectors against hate crime and put a strong pressure on the Minister of Justice to start treating such crimes seriously. We continue looking for endorsements throughout the campaign, so if your organsation wishes to do so, please contact the Campaign Coordinator at aga@enarireland.org. Confirm you wish to do so by emailing aga@enarireland.org and sending us your logo. Post that they support the campaign on social media and possibly a website, using a #LoveNotHate hashtag. Share the campaign video and our call for petition signatures. Use campaign logos in your communication, publications etc. If possible display the campaign poster in your office.